How to forward a copy of all incoming emails to other email addresses. Any of your community-branded email accounts can be configured to forward all incoming email messages to up to 16 other email addresses. Communities commonly use this feature for group email accounts, like "[email protected]," to forward incoming messages to every current board member's personal email address. 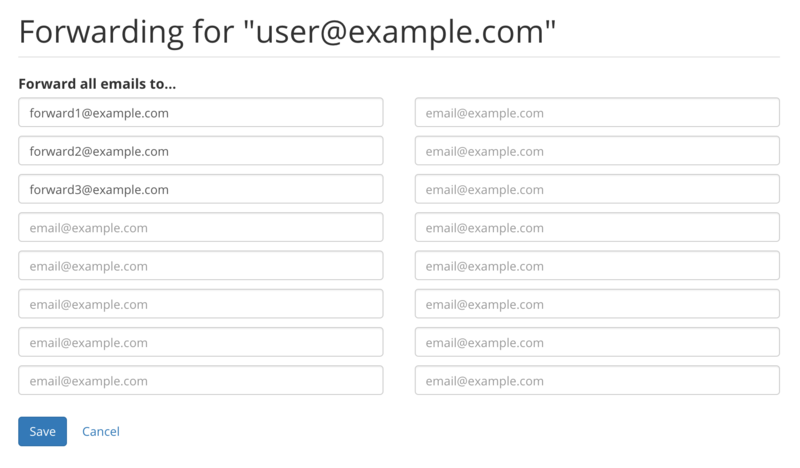 First, go to the "Email Accounts" section in the Admin Control Panel and find the email address you'd like to edit. Next, click on the blue pencil icon under the "Forwarding" column. This will take you to a page where you can enter up to 16 forwarding email addresses. Once you've finished, click "Save." Now, all incoming email messages sent to that email account will be forwarded to the email addresses you've entered in those fields.